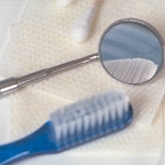 DentalPlans.com provides a hassle-free way to find a Toms River dentist in our large dentist directory. Enter your ZIP code above to save money on General Dentistry with an easy-to-use discount dental plan. Decide on the right plan for your needs and get deep discounts when you visit a participating dentist like Dr. Ana A Walsh. Simply visit Dr. Ana A Walsh or any other participating dentist in Toms River, NJ to save on most of your General Dentistry needs. At DentalPlans.com, our discount dental plans start at only $79.95 per year and will save you money with dental care discounts on services like General Dentistry. If you are looking for an affordable dentist in your area, DentalPlans.com features over a hundred thousand participating dentists listings in combined networks such as orthodontists, endodontists, pedodontists, and more. So if you need to see a dentist or specialist about a teeth cleaning, fillings, root canal, dental crown, braces, or even dentures, we can easily help you find a dentist or dental care specialist in Toms River, NJ.